Welcome to HB&G, offering the finest in porch products since 1880. 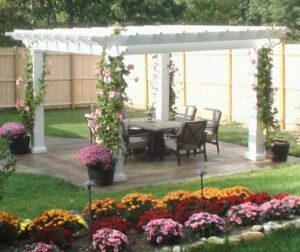 Manufacturers of the original PermaCast® fiberglass columns, HB&G continues to lead the industry in offering the most technologically advanced and highest quality synthetic porch columns and porch products on the market. 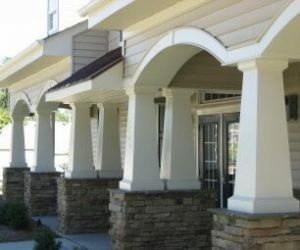 Columns - Columns are the distinguishing mark on a home’s exterior. With HB&G’s PermaCast® Columns, you will have a more consistent surface from column to column due to the latest technology that’s used in our production facility in Troy, Alabama. HB&G’s proprietary formulation provides you with a stronger column that is more damage resistant than the competition. Porch Posts – HB&G manufactures both polyethylene and pine wood posts. Our top quality posts are designed to provide years of attractive service. 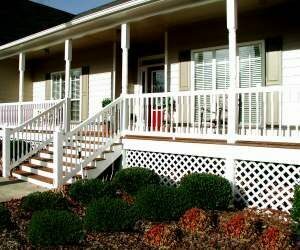 Porch Railing - This premium low maintenance synthetic porch rail is made from cellular PVC with aluminum inserts for strength. 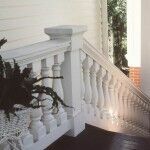 PermaPorch® Railing is prefinished white, but accepts paint easily, and is weatherproof, virtually maintenance free, and comes with a 25/10 year warranty. Balustrade Systems - HB&G has created unique and elegant Balustrade Systems that provide a natural complement to our columns and which will enhance the beauty of any home or commercial building. PermaPorch Ceiling - Pre-finished with a white or blue capstock, PermaPorch®Ceiling is another low maintenance product in the HB&G PermaPorch® It can be used as a beaded ceiling, or as an accent to any room as a dramatic wainscoting. With the PermaPorch® Ceiling, you and your family will enjoy a seamless and stylish porch ceiling for years to come. It never needs to be painted, and once it’s installed, it offers lasting beauty so you can sit back, relax, and enjoy the good life.